I got my replacement Kryoflux board last week and have been playing around with that in my spare time in the last week, but my first lot of books arrived today which has prompted me back into action again. 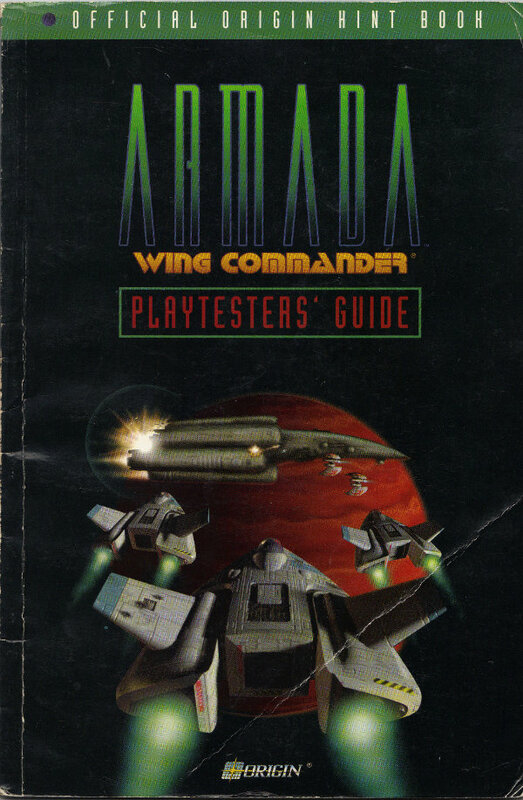 The first of these is the Wing Commander Armada Playtesters Guide. In all honesty, I was a little surprised to see that this game warranted a guide book when I found it on Amazon. 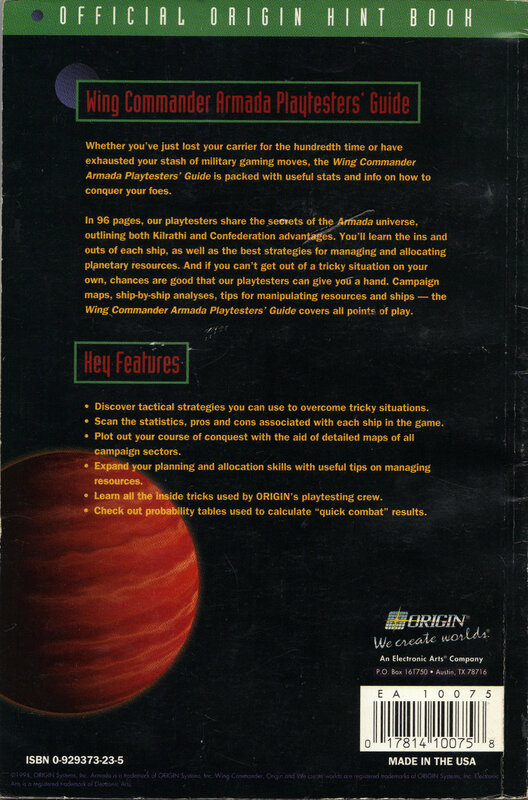 It would be unfair to dismiss Armada as filler before Wing Commander 3, but it did come fairly close and was certainly not one of Origin’s best efforts. It’s a game I bought when it came out and while it did provide a brief amount of fun with the excellent 3D engine and split screen combat, the novelty wore off very quickly and it was soon forgotten. It’s fair to say then, that my hopes for the guidebook were not high before I started. It’s 96 pages long and if you think it would be a difficult job to fill all those pages you would be right. 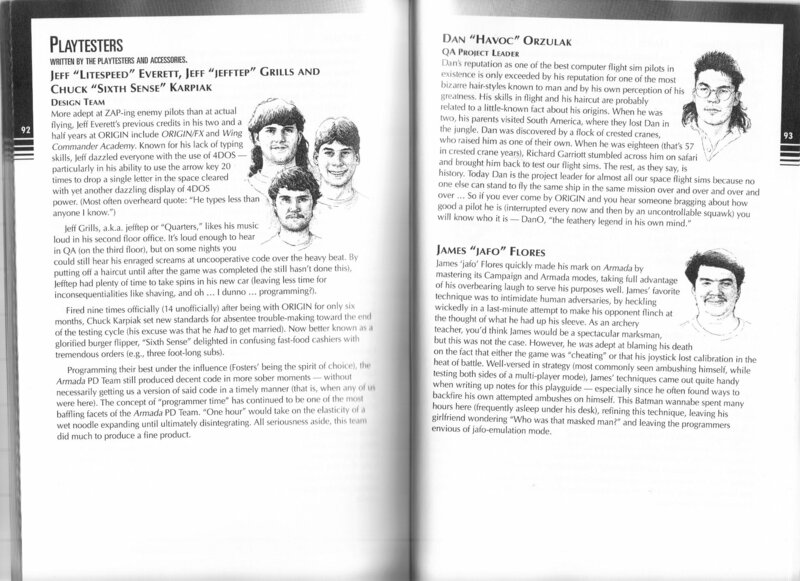 The book goes into highly unnecessary details right from the start with 20 pages describing each of the ship types. It does give some details on tactics to use with and against each ship and these could possibly be helpful but it’s all obvious stuff in all honesty. The next section is worse with several pages on how ships take damage, including needless descriptions of what shields and armour are. There are tables of how much damage each type of weapon does and the like which may possibly be useful I suppose but I’m not convinced. The book then moves through sections on tactics to use both in combat and in the tactical section of the game, maps of all the sectors in campaign mode and finally some quick combat advice for winning fights in a hurry. All the strategy advice in the book is heavy on text and you would have to read the whole thing to get the useful nuggets out of it. Every angle is certainly covered from what to do in each section of the game, and on different sizes of map. Playing against the computer, I can’t imagine anyone needing help in all honesty but I could see some of the advice possibly helping out against human opponents. The game wasn’t half as much fun as you would expect against a human opponent though so I certainly didn’t play it enough for it to get that competitive. This isn’t a badly constructed guide by any means and contains all the information you could ever need to make you more competitive when playing the game. The problem is that Armada wasn’t a complex enough game to justify all these pages and that makes this book largely pointless as far as I can see. 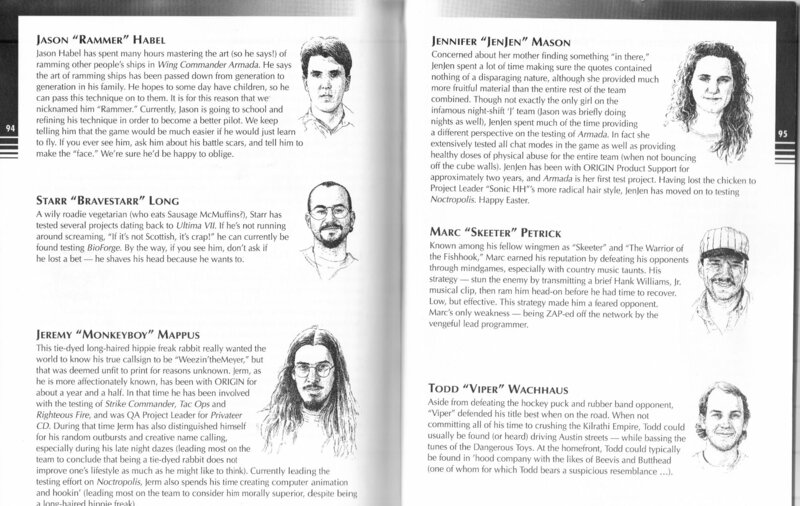 There was a brief section at the very end about the playtesters for the game. 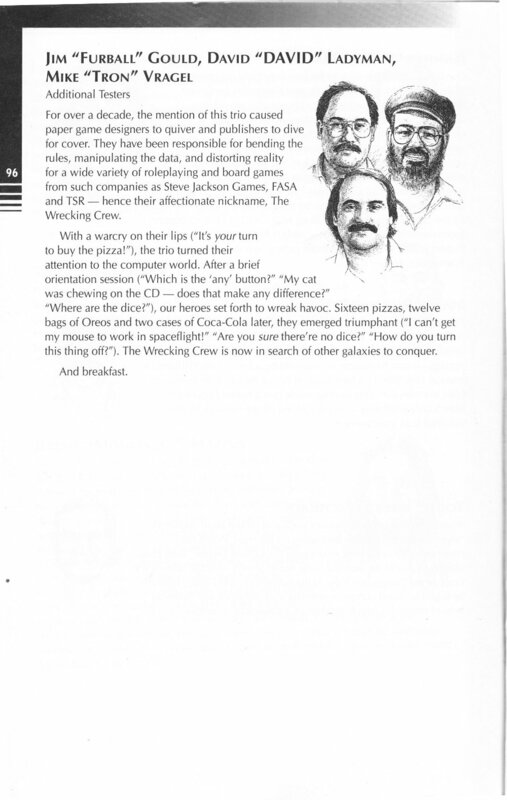 I include scans of these below for anyone interested.